Cannabis or Hemp (or Marijuana as it is more commonly known) is a genus (or group) of flowering herbal plants that are useful for various purposes. The stem of certain varieties of Cannabis is particularly suitable for producing fiber that ropes and various other materials, even paper, can be fashioned from. Food supplements are also produced from Cannabis, and the essential oil extracted from a Cannabis Plant is particularly useful for various purposes such as medical treatments. 2 What does Cannabis look like? Some people use THC Cannabis oil for recreational purposes. Similarly, many people use the Cannabis plants for recreational purposes. The ingredient that lends itself to this purpose is the Cannabinoid Tetrahydrocannabinol (THC), which is the Cannabinoid that is present in the highest quantities within the composition of certain varieties of Cannabis. THC is the actual reason for the extreme popularity of the plant during much of the 20th Century. However, the greatest benefit provided by Cannabis is its medical properties and in recent years many studies have been done regarding the cannabinoid which is found in the second highest concentration in Cannabis, i.e. Cannabidiol (CBD). Cannabis has been used for literally several centuries already for the relief of various illnesses and conditions from stress, to migraines to epileptic seizures and even cancer. CBD has been found to have similar and better outcomes regarding medical applications as THC, and while THC is a psychoactive substance, which is the reason for the fact Cannabis has been outlawed almost a century ago, CBD has none of the psychoactive characteristics of THC. In fact, CBD has been proven to counteract the psychoactive effect of THC. Well, that depends on which variety of Cannabis we are referring to. To begin with, Cannabis is a genus within the plant family Cannabaceae. The genus is generally accepted in today’s society as containing three basic species within the genus, namely Cannabis Sativa, Cannabis Indica and Cannabis Rudelaris. 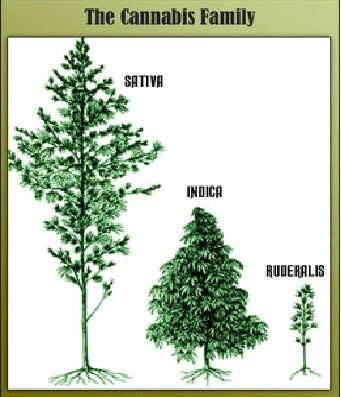 Although it is still uncertain in some circles whether to include Rudelaris with Sativa, or whether these three varieties are each a separate species, or whether Sativa, Indica and Rudelaris are all sub species of a single species called Cannabis, the most widely accepted of the three possibilities is that there are three species within the Cannabis genus. The most generally common variety of Cannabis is Sativa. Sativa has branches that are slipshod and thin. 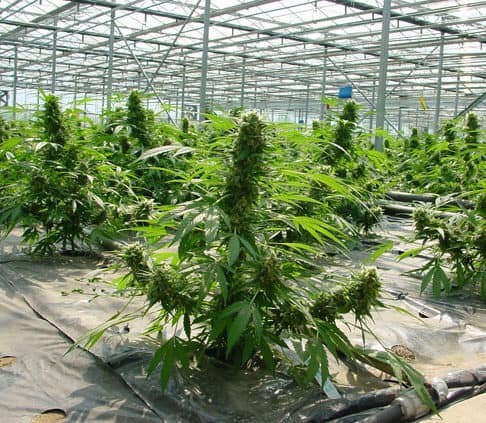 This variety of Cannabis is mostly present in warmer low lying regions on the Globe. Sativa is commonly used for recreational purposes and lends itself well to fiber production for the purpose of producing rope, paper etc. Cannabis Indica is less common than Sativa, and is shorter, bushier and found in cooler climates. 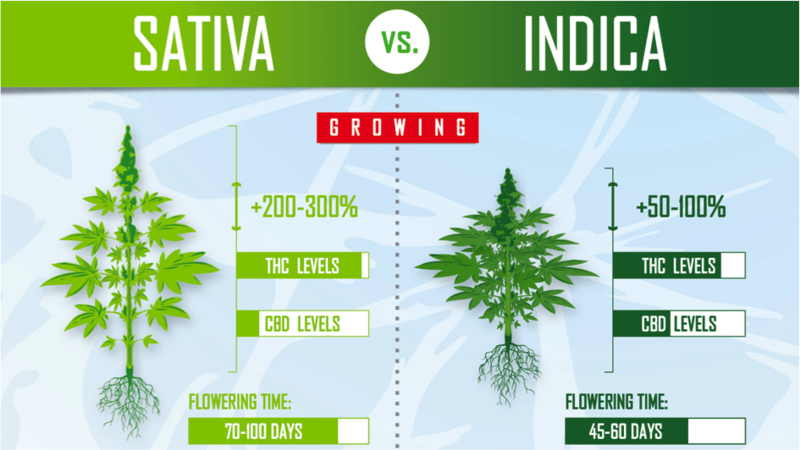 Indica is not nearly as fibrous as Sativa is. These plants adapt very well to the highland regions of India. Indica is mostly used for medical purposes. The third species of Cannabis, Cannabis Ruderalis, is a plant that is very short compared to Sativa and Indica. This small variety of Cannabis grows wild in most parts of Europe and the central parts of Asia. It has certain qualities that neither Sativa not Indica has. 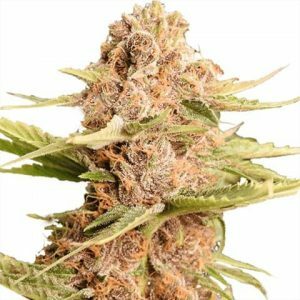 More or less all popular varieties of Cannabis available today have been developed from either Sativa or Indica, or hybrids that contain characteristics of Sativa as well as Indica. 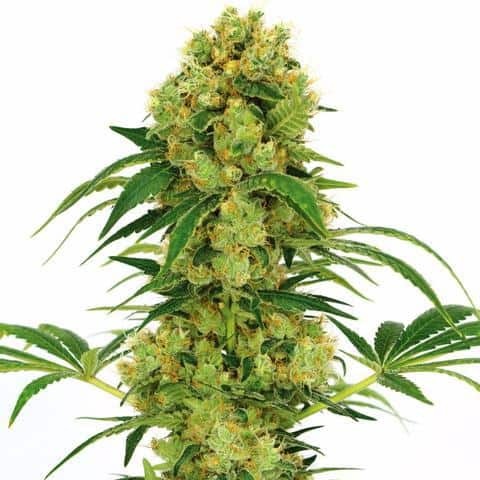 Plants from Cannabis Sativa are tall, slim and leafy, fibrous, and are mostly used for recreational purposes, whereas plants from Cannabis Indica are short and bushy, and are mostly used for medical purposes. 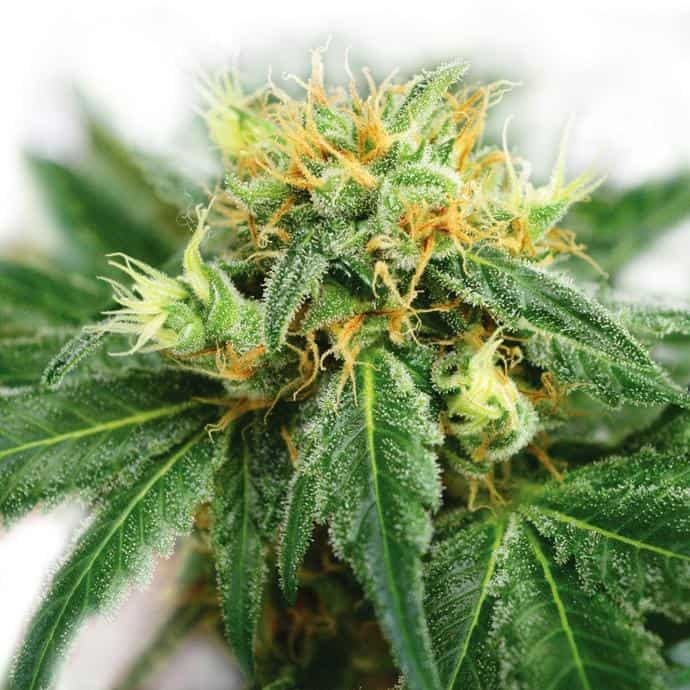 The third variety, Cannabis Rudelaris, is significant mostly for its ability to flower without being dependent on the photoperiod that both Sativa and Indica desperately need in order to flower correctly and subsequently produce a substantial crop. Because of this characteristic, as well as the fact that the plants are so small, some people are of the opinion that Rudelaris is a complete new species that has mutated in order to flower without the photoperiod because of the fact that its habitat is not favorable to varieties that depend on the photoperiod in order to produce a significant crop. 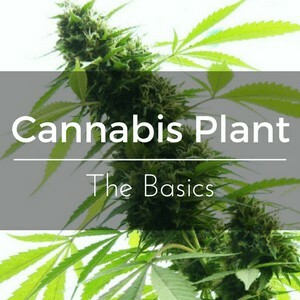 The Cannabis plant consists of various parts that are arranged together to form the genus known as Cannabis. Several structures found on the Cannabis plant can also be found on other flowering plant species. Cannabis has tall thin stems containing nodes from which their very well-known fan shaped leaves grow. The true separation of Cannabis from other plants actually only occurs within its exceptional and complex flowers. Based purely on the physical structure of the plant, Cannabis is intriguing to say the least. Looking at a Cannabis bud, you will see a multifaceted structure consisting of various parts: orange hairs, white crystals, nodules covered by tiny leaves, etc. Unfortunately, because of legal restrictions, it is difficult to show you a real live plant, so this description will have to suffice. Male & Female Plants differ from each other. 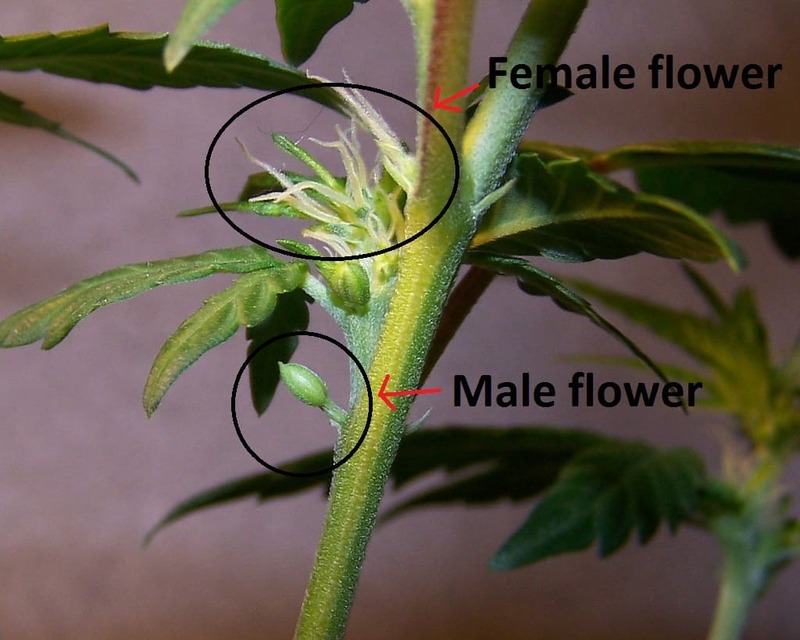 A Cannabis plant can be of either gender, or of both. 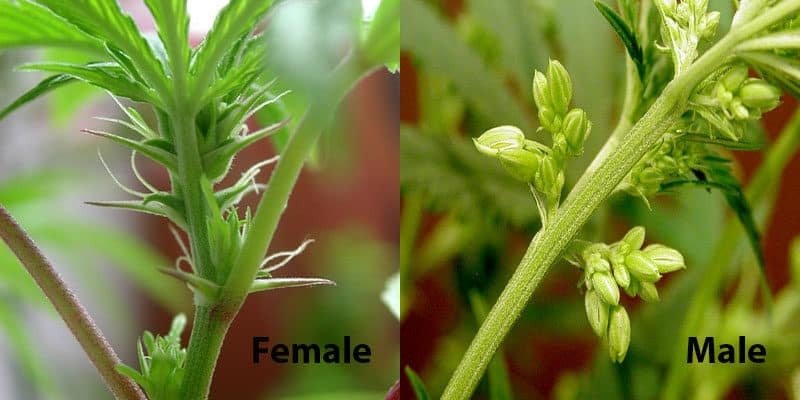 When a Cannabis plant contains both genders, it is hermaphroditic. Meaning that it does not need a male plant. And that it can fertilize its own female flowers, or the flowers of a female plant. Whatever the case may be, when you buy some Cannabis for your own personal use, it will be from the flowers of a female plant. The large rounded or pointed buds that are covered in white resin are female flowers. Male flowers are smaller and are found at the base of the leaves of the plant. The sole purpose of the male flower is to pollinate the female flowers so that the female plant can produce seeds. For that to happen is undesirable, since the sought after harvest meant for consumption needs to consist of female flowers without seeds. These plants are called sinsemilla, and grow large seedless buds that have a high level of cannabinoids. A hermaphroditic plant contains both genders and can therefore pollinate itself when it flowers. This is an undesirable trait, since the sinsemilla plants then pass on hermaphroditic genes to their offspring. To keep this from happening, growers can make sure that their genders come out correctly by cloning plants. Or by growing identical plants by means of clippings from a strong parent. 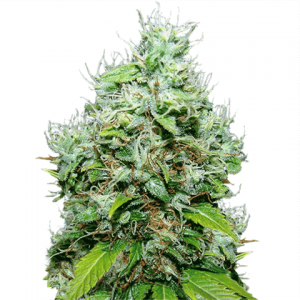 One can also obtain feminized seeds that were produced using a specific breeding protocol. The Cola, or terminal bud, which is the “bud site” of the plant along which close-fitting female florets are found. The main cola, or apical bud, is found at the uppermost tip of the plant. And smaller colas are found below the main cola. The Calyx, which is what in effect encompasses the female flower. To the untrained eye, the buds of a Cannabis plant would appear to be an entangled knob of leaves. But when you look at what goes on underneath those very small leaves, (called sugar leaves) you will see tiny protuberances in the shape of a teardrop. The Pistils which are strands of tiny little red-orange hairs that grow from the calyxes of the Cannabis flower. These vivacious little hairs’ main purpose is to collect pollen from the male plants. At the beginning of the budding of the plant, the pistils are white. But they gradually turn to yellow, then orange, then red and then brown. This happens during the life span of the plant from budding to maturity. The Trichomes are extremely small but greatly potent little translucent glands that are shaped like an extremely tiny little mushroom. Originally developed to protect the plant against predators and weather. These trichomes are found all along the leaves, stems and calyxes of the entire plant. In spite of the fact that the trichomes are so small the resinous cover (called “kief” when it is dry) is quite conspicuous. Nobody can miss the tiny crystals that cover the entire bud. The trichomes are the little organs that secret terpenes, which are sweet-smelling essential oils, and also THC and CBD, the cannabinoids that are used for medical purposes. The resin crystals formed by the trichomes have a crusty sugar like consistency, and forms the basis of hash production. 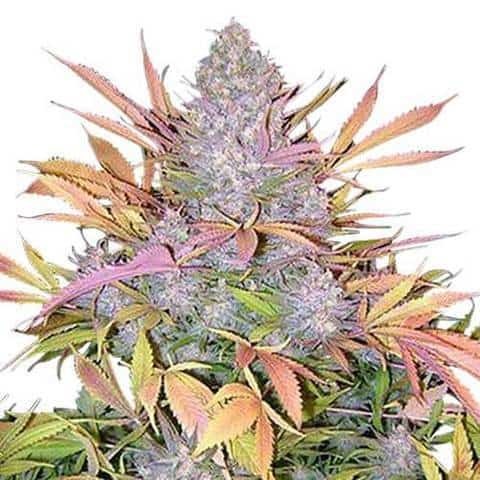 In order to enhance the flavor and potency of the buds they are cured for a certain period of time. This ensure the Cannabis harvest of great quality that each and every Cannabis grower covets. It is still unknown whether Cannabis will eventually be legalized globally. But whatever the case may be, Cannabis still remains the most potent discovery in recent years for the treatment of several ill ness and conditions. Cannabis or Hemp (or Marijuana as it is more commonly known) is a genus (or group) of flowering herbal plants that are useful for various purposes. The stem of certain varieties of Cannabis is particularly suitable for producing fiber that ropes and various other materials, even paper, can be fashioned from.